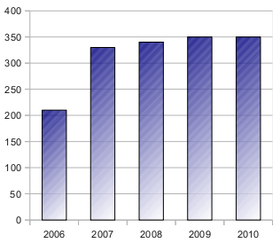 The years between 2006 and 2011 were years of change for Radio Prague. In a move to bring the country’s public finances under control the centre-right government introduced tough austerity measures in the public sector. The Czech Foreign Ministry, which finances Radio Prague from allotted government funds, affected far-reaching budget cuts. In 2010 Radio Prague’s annual budget was slashed by 20 percent compared to the previous year, in 2011 the station was forced to accept a 42 percent cut in funding. As a result Radio Prague gradually reduced its presence on shortwave, cancelling rebroadcasts via shortwave transmitters abroad and in 2010 closing down one of its two shortwave transmitters in Litomyšl. 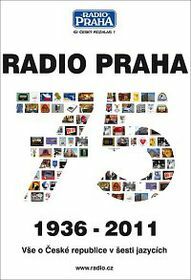 On January 31 st of 2011 Radio Prague was forced to terminate its shortwave broadcasts after 75 years on the air. A quarter of the station’s employees were laid off. Despite the severe reduction of funds the station was able to maintain its programme content with only minor adjustments. Radio Prague, the international service of Czech Radio and one of its seven channels, continues to produce daily half-hour news and current affairs broadcasts in six languages, targeting foreign listeners, expats and foreigners living in the Czech Republic. One of the programme changes made at the start of the year was the introduction of Radio Prague’s Sunday Music Show profiling Czech singers and bands. The termination of shortwave broadcasts boosted the role of new technologies and the Internet which has now become Radio Prague’s main platform. Long-term investment into Radio Prague’s internet presence paid off and we are proud to say that Radio Prague’s web pages register a steady increase in the number of visitors. Radio Prague is also making the most of new technologies such as podcasting and mobile phones. Mobile phones allow you to listen to Radio Prague’s broadcasts live in MP3 format, RealAudio, WMA and AAC. 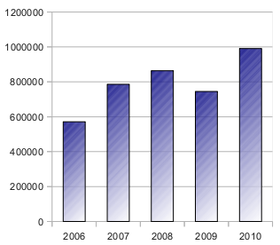 We first started offering podcasts in 2007. The average number of podcasts downloaded is now around 300 000 a month, which indicates that this new technology in radio broadcasting has a future. Radio Prague also established a presence on social networks (Facebook, Twitter). 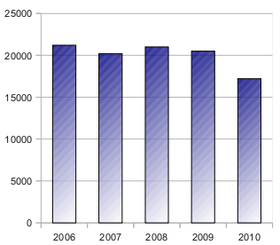 Radio Prague’s satellite broadcasts continue unchanged. Radio Prague’s broadcasts in all languages are transmitted in Europe on the CS Link via Astra 3A satellite, 23.5 degrees eastward. Radio Prague’s English, German, French and Russian language broadcasts can be picked up on WRN Eutelsat Hotbird 6, 13 degrees eastward. Though Radio Prague was forced to terminate its shortwave broadcasts at the start of 2011 it did not disappear from the airwaves completely. Radio Miami International runs Radio Prague’s Spanish and English language broadcasts for listeners in North America on the 9955 kHz frequency. Since 2006 our Russian broadcasts can be heard on 738 kHz courtesy of the World Radio Network. 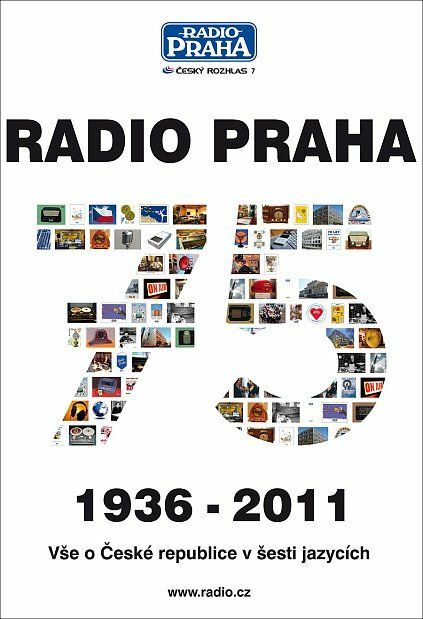 Radio Prague continues to broadcast on FM in Prague. Since 2010 Czech Radio’s Regina channel features a daily news and current affairs block in English, German and Russian. A French language arts programme can be heard on the Prague frequency RFI 99.3 FM. Radio Prague also targets a select audience - Czech expats around the world. We offer expats a special programme once a week tailored specifically to their interests and operate a web page for them www.krajane.net. The site has between 10,000 and 15,000 visits per month. The website offers useful information, links and serves as a platform for communication. Radio Prague regularly attends expat gatherings and events and in some cases co-organizes them. Since its establishment in 2004 the website has become an effective means of communication with Czechs abroad. Radio Prague supports expat stations abroad by regularly providing them with ready-to-run programmes. The scope of this cooperation (produced programmes in hours) can be seen from the following graph. In 2008 Czech Radio became a member of Euranet, an amalgamation of 16 international, national, regional and local European broadcasters who contribute to creating a radio station with a pan-European perspective. 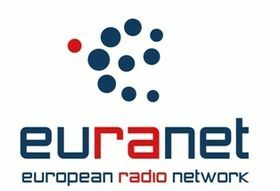 Radio Prague regularly contributes to Euranet broadcasts in English, German, French and Spanish. We also operate Euranet’s Czech-language web pages. In 2006 Radio Prague produced and aired in Czech and German the world premiere of a play by Czech author Miroslav Bambušek. The play tells the story of two young people set against the backdrop of the post-war expulsion of Sudeten Germans from Czechoslovakia. The play was later performed at the Czech cultural centres in Berlin and Vienna. The play can be downloaded in both Czech and German. Radio Prague has always followed a policy of putting listeners first. We respond to all mails and letters received. Regrettably the amount of mail received dropped after the termination of our shortwave broadcasts. Since the internet became our main platform, we are receiving more emails than letters. In view of continued interest in our QSL cards Radio Prague now issues them for reception via the internet. One way of boosting communication with listeners is by organizing competitions. In addition to monthly competitions Radio Prague has an annual contest for listeners in which they can win a week-long stay in Prague. The competition was first held in 2001. October – Radio Prague launched 2 hour daily DRM broadcasts in English and German via the Rampisham transmitter. They were concluded in 2009. Radio Prague announced its Czechs Rock Europe music competition, the winner of which – the band Zrní – performed in Berlin’s Kleisthaus. Czech Radio’s Regina channel started featuring Radio Prague’s news in English, German and Russian and Czech Radio’s digital channel Radio Wave started broadcasting Radio Prague’s English language news bulletin.